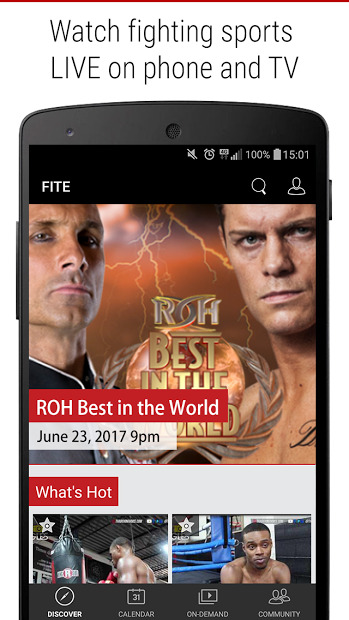 FITE gives you instant access to free and pay-per-view live combat sports events including MMA, wrestling, boxing and traditional martial arts. You can watch live events like: MMA events from WSOF, ACB MMA, Tuff-N-Uff, Hard Knocks MMA. Pro Wrestling shows from Ring of Honor (ROH) Wrestling, TNA Impact Wrestling, ICW, WCPW, WCW. 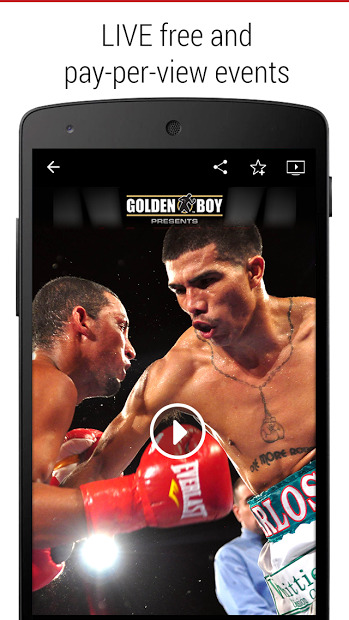 Boxing matches from Golden Boy Promotions, Star Boxing, Sauerland, Main Events and hundreds of other combat sports promoters. In addition to live programming, you can explore a big library of exclusive interviews, full-length matches, action movies, backstage footage and free weekly shows. The library includes matches and interviews of UFC legends Royce Gracie, Conor McGregor, Bas Ruten, Brock Lesnar, Ronda Rousey, documentaries on WWE champion AJ Styles, WWE NXT star Johnny Gargano, Zack Gowen, and many others. Note: Free content is added every week.